“New York City during a blackout in 2003. More than 150 companies and groups will take part in a drill that will simulate attacks on the power grid. “An electrical grid joint drill simulation is being planned in the United States, Canada and Mexico. Thousands of utility workers, FBI agents, anti-terrorism experts, governmental agencies, and more than 150 private businesses are involved in the November power grid drill. The downed power grid simulation will reportedly focus on both physical and cyber attacks. The antiquated electrical system in the United States has been one of the most neglected pieces of integral infrastructure” quoting Off-The-Grid News. By Matthew L. Wald in The New York Times. People think they are in an exercise, but it could be a real situation. – Is this Power Grid Down Drill a cover for something else? Daylight saving time (PDT) ends this Sunday at 2am. Move your clocks back one hour prior to retiring on Saturday night. Yelm’s TRIAD Theater will host a Piano Concert with Joe Bongiorno on a stop with his piano concert tour. Joe formerly lived in Yelm and has become a nationally acclaimed concert pianist. “An intimate evening of original, contemporary solo piano artistry & the inspiring stories behind the songs! Two award winning composers, both featuring brand new CD releases! Joe will be performing titles from his latest album, the 8th, just released on Sept 16th, Flight of a Dream. He will also be joined by the solo piano artistry of Brad Jacobsen. TICKET PRICE: $15 in advance, $20 at the door! “The Thurston Economic Development Council’s Business Resource Center will host the 2013 South Sound Success Small Business Conference on Tuesday, Nov. 5. “To register for the conference, visit the event’s website. Registration is $75. Yelm’s UCBO, known as Yelm Community Services, was built in 1971 with funding from United Way, as an example. Click here for United Way Agencies in Yelm. What is it with Alexander’s Campaign posting signs so oddly and against County Code, covered here previously? Now Gary Alexander’s campaign sign is affixed Democrat Jeff Davis’s post in Yelm, near Yelm Vet Hospital (in background) . Where is this candidate’s oversight of his signs? What does that say about his management capabilities, especially when the county auditor oversees 40 employees? – Interim Auditor of Thurston County Gary Alexander is responsible for upholding the rights of all voters. JZ Knight is his constituent. We call on Mr. Alexander to distance himself from the Republican Partys derogatory rhetoric and uphold the principles of the office he wishes to continue to hold. – We strongly condemn actions to disenfranchise ANY voter from participating in their democratic right to support candidates of their choosing. The First Amendment of the U.S. Constitution and the Washington State Constitution both protect free speech and expressly protect the free exercise of religion and ones spiritual views. Click here for the “Meet the Double-Dippers” ad in The Olympian today. Blog writer Steve Klein has been a student of Ramtha’s for 28 years, employed by JZ Knight for 10 years. Klein has been a Yelm resident for 25+ years. O Bee’s Yelm Branch Grand Opening is Sat. in the former Blockbuster Video store! Posted by Steve at 8:10 am | Permalink | Comments Off on O Bee’s Yelm Branch Grand Opening is Sat. Olympia Chamber Orchestra performs in Yelm Sun. “Olympia Chamber Orchestra, conducted by Claudia Simpson Jones! coming to The Triad Theater Sunday, October 27 at 3pm. Yes, its true! Claudia Simpson-Jones is bringing the Olympia Chamber Orchestra to Yelm! Tickets: $10 in advance/$12 at the door. Click on the Buy Now tab on our events page,” quoting The Triad Theater. The 40-piece Olympia Chamber Orchestra is conducted by Yelm resident Claudia Simpson-Jones. “When Claudia Simpson-Jones takes the stage at Yelms Triad Theater this Sunday, it will be her first time conducting the Olympia Chamber Orchestra in the town shes lived in for more than 20 years. Posted by Steve at 5:57 am | Permalink | Comments Off on Olympia Chamber Orchestra performs in Yelm Sun. On Monday, October 28, join Commissioner Romero and her guest, Thurston County Emergency Manager, Kathy Estes, for coffee, and learn about how the county prepares for disasters and what you can do to stay safe. Thurston Countys Emergency Management department works hard to keep this community safe. This years catastrophic flooding in Colorado and local early season storms have been particularly grim reminders of our own flood risk. It is not always possible to provide immediate assistance to those affected by storms and flooding. Demand often exceeds available resources, leaving people on their own sometimes for days before outside help arrives. Estes has worked in emergency management since 1999 and has been employed by Thurston County for 23 years. She will explain how you can prepare for winter hazards so your family is ready to weather any storm that comes our way. These coffees give you the opportunity to talk about issues of concern, ask the Commissioner questions about the county, and share ideas. Commissioner Romero provides participants’ coffee that she pays for herself. 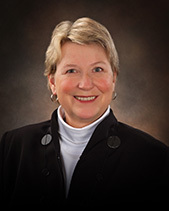 She is the representative of District 2, which includes Yelm, Lacey, and Rainier. – Yelm: 11:00am Noon at Tacos Gaby, 307 Yelm Ave. E.
– It is appalling that fanatical Republicans would disenfranchise any lawful voter in this state. The State Republican Party wants to approve peoples beliefs before letting them participate in elections. – The Koch brothers, ALEC, and other far-right extremists pour millions of dollars into our local campaigns to spread lies and, sadly, it is legal. Rep. Alexander sat on ALEC’s Tax and Fiscal Policy Task Force. The truth is Gary ALECxander has voted against Human Rights bills in the state legislature since 2006. Do you really think he will be a fair Auditor for all eligible citizens? Have you seen his voting record on LGBT issues? Not only is he an opponent of the most basic Civil Rights for gays and lesbians, which is widely supported in Washington, in 2007 Rep. Alexander even voted against a law affirming the legal rights of people with disabilities a law that passed the Senate 46-2. While fellow constituents were treated to a government shutdown delaying payments to thousands, these two “civil servants” were still collecting two paychecks from tax payers! Yelm Mayor $30,000 [highest paid mayor in Thurston County]. These two employees received over a quarter of a million dollars in salaries and benefits in 2013! – It is appalling that Washington State Republicans double-dip at the public trough while people everywhere are struggling. It is appalling the Republicans claim to support private, free-market capitalism and then attack a successful business leader. Their latest tactic is to slur JZ Knight even after she was vindicated in court in July. – Dont let Republicans tell you how to think. The word “cult” represents just as much prejudice and antagonism as racial slurs or derogatory words for women and homosexuals. – Gary Alexander is the Interim Auditor of Thurston County, responsible for upholding the rights of all voters. JZ Knight is his constituent. We call on Mr. Alexander to distance himself from the Republican Partys derogatory rhetoric and uphold the principles of the office he wishes to continue to hold. – JZ Knight did NOT hold a fund-raiser for Mary Hall. We call on the Washington State Republicans to issue a correction of their distortion of the facts and an apology to JZ Knight, Mary Hall, and Washington Democrats. – We strongly condemn actions to disenfranchise ANY voter from participating in their democratic right to support candidates of their choosing. The First Amendment of the U.S. Constitution and the Washington State Constitution both protect free speech and expressly protect the free exercise of religion and ones spiritual views. – This is just another example of Republicans attempting to expunge and discredit Democratic voters around the country. Dont let state Republicans fool you. Unwrap their derogatory rhetoric and look at their abysmal record.